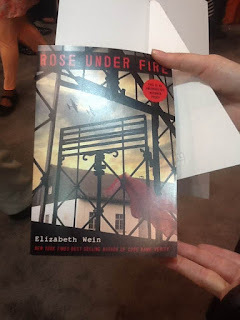 First Novels Club: BEA 2013 Recap! Books, Neil Gaiman, and the best roommates ever. 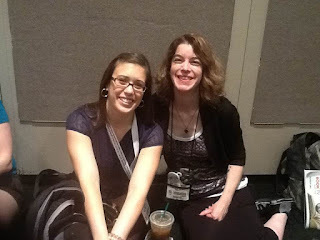 BEA 2013 Recap! Books, Neil Gaiman, and the best roommates ever. As always, Book Expo America was both fun and exhausting! I missed Thursday, but I was there for Friday & Saturday. And despite how amazing the books are, my favorite part, as always, was seeing the book people — bloggers, authors, and publishing folk. 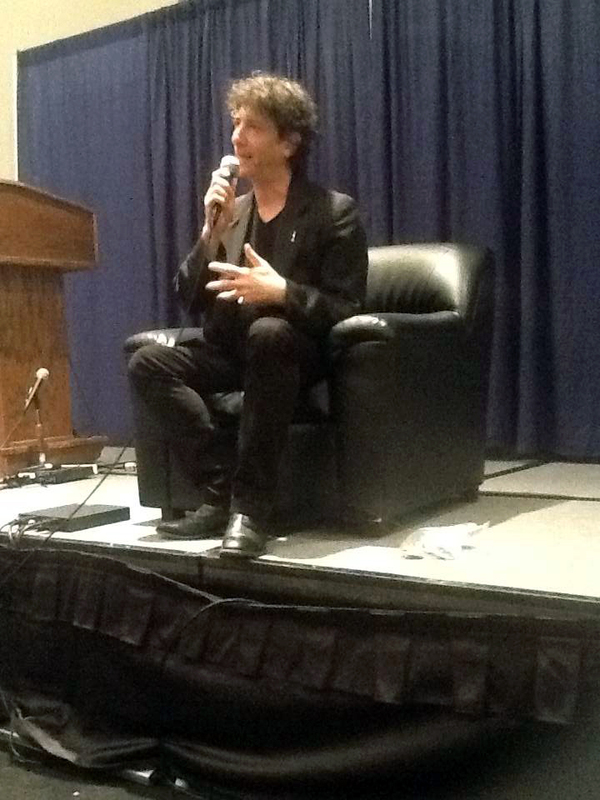 Without a doubt, being in the same room (and sitting thisclose) to Neil Gaiman and hearing him speak was the highlight of the trip! And a girl couldn't ask for better roommates — the incomparable Frankie, the awesome Jeri, and the hilarious Laura (who I'd never met before but instantly adored). We stayed at a 5th floor walkup a few blocks from Javits, and we had so much fun that I'd trek up five flights of stairs to hang out with those gals any day! 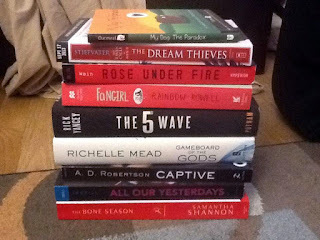 This year, I decided to be as selective as possible when choosing my books, since I have severely limited shelf space and was carrying everything home in my luggage on the train ... and because I feel guilty when my TBR pile becomes too extreme! I ended up coming home with 9 novels and about 7 nonfiction books, all of which I'm so excited to dive into. 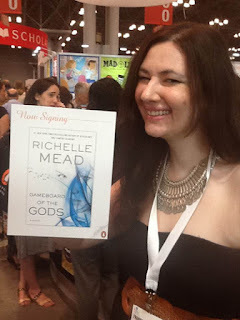 new adult novel, GAMEBOARD OF THE GODS. Because Frankie held the sign, everyone passing kept mistaking her for a Penguin employee. I must say though, she did a bang-up job answering their questions! Sooooooo excited to get the CODE NAME VERITY companion novel! 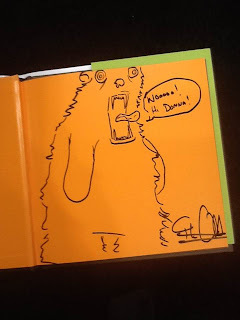 Drawing from Matthew Inman, the hilarious artist behind The Oatmeal. First day's novels! YA and adult, with a comic-turned-book on top. Jeri and I were 5th and 6th in line to see Neil Gaiman speak! We arrived at 7am for the 10am event, despite exhaustion. Initially, I wanted to get there at 8am, but the night before, Jeri suggested 7am via text with a little ;) at the end of the message. I asked, "Are you joking about 7am, since you used a winky face?" Her reply: "Not at all, I was just hoping to soften the blow" ... which made me laugh and cringe at the same time. When I saw our seats, I thanked her a million times for the nudge! Neil Gaiman. Four feet away from me. - Fiction is dangerous because it gives you empathy, it shows you that the world doesn't have to be like the one you live in. - Being a writer is a "nightmarish layer cake," a mix of appalling arrogance and absolute self-doubt & humility. - His response to rejections, before he was published: "Either I'm not very good, which I do not choose to believe, or I'm doing this wrong." So he vowed to write things so brilliant that no one could reject them. Now he's afraid that he'll submit something and, because he's Neil Gaiman, no one will tell him that it's bad. His editor leaned into the mic without missing a beat: "I'll tell you." 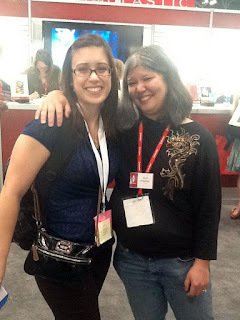 Me and the ever-so-awesome Julie Kagawa! 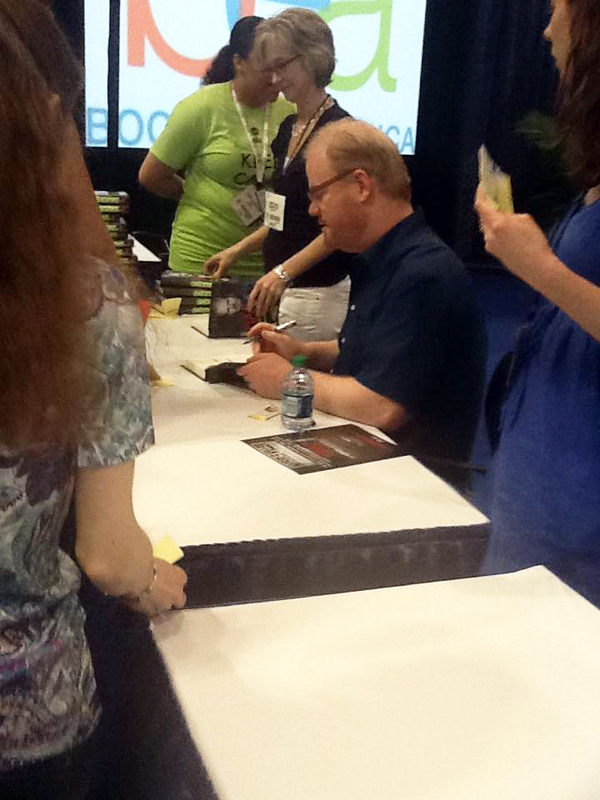 Comedian Jim Gaffigan, signing DAD IS FAT. "Hello, book nerds. How are thee and prepositions?" What did I miss that I wanted? What did I not grab because I was lucky enough to already have? That's all for me! If you attended BEA, what book were you most excited to get, and who were you most excited to meet? If you didn't attend, what book do you want to get your hands on the most? I just saw your blog for the first time and really like it! It's really comforting to read thoughts from other lovely people out there that are working on their novels.